I have been a little busy those days and I am now on vacations for a week! I was full of good intentions and I wanted to prepare some posts for you to think of my during my absence but… I did not. Let’s just go with a little Bon Voyage and you will hear from me again in one week! As much as I am going to miss my blogging life, I will also be enjoying El Cubano and my 2 kids under the sun of St Maarten. Yes, I said my blogging life. It has been just 3 months of blogging but I have learnt a lot already: about blogging, about food, about IT, about food photography. This community is wonderful! I am just going to leave you with a tip, something that I love doing and with summer approaching I am sure you will love the idea! I flavored my olive oil! I add some Herbes de Provence and I let it aside for a month, the time to get the flavor. It is perfect for your salads, for a meat or a fish! You will love it. 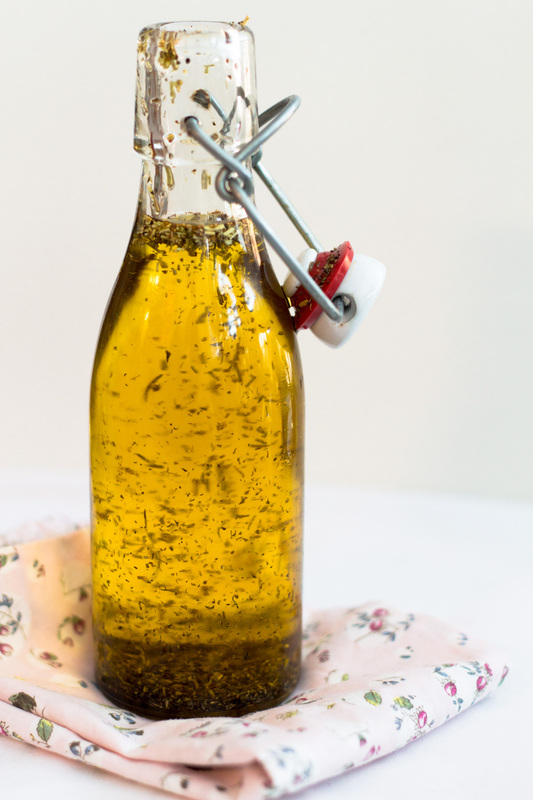 It does not have to be Herbes de Provence, it can be just thyme or rosemary, basil or sage. The sky is the limit! That is it for today, I am going to keep it simple and when I will be back, I will be full of ideas, refreshed and ready for more! Salade niçoise for my healthy resolution!